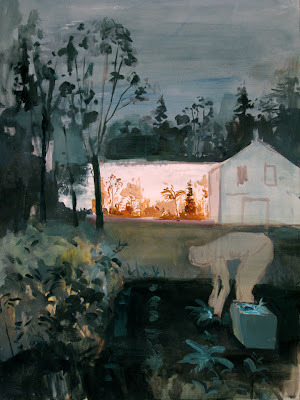 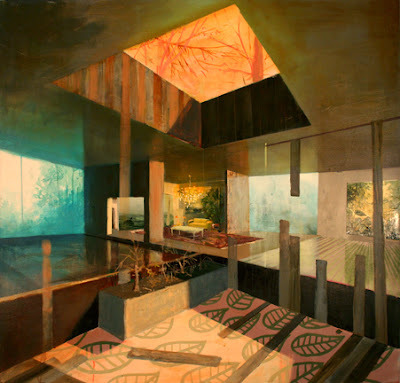 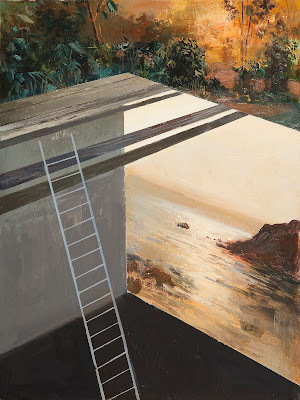 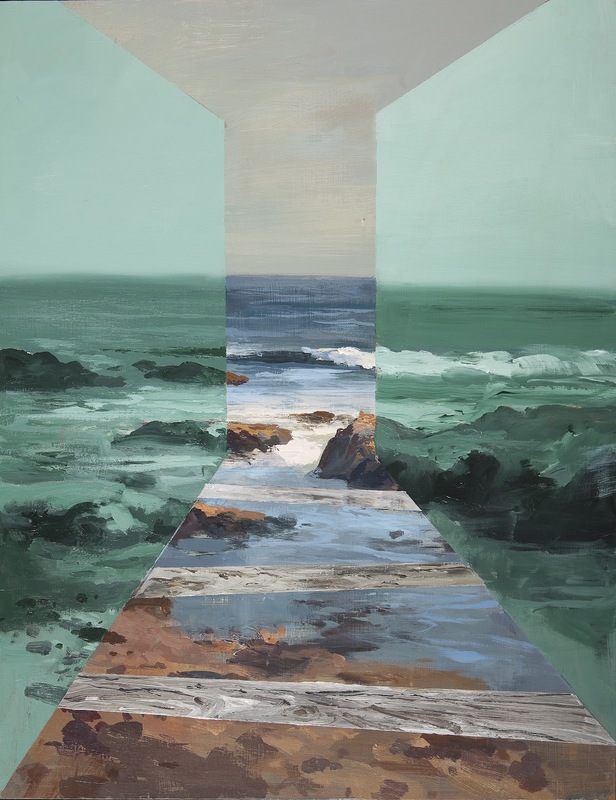 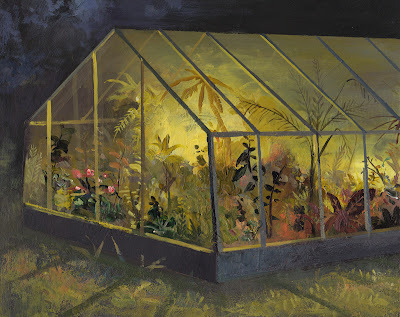 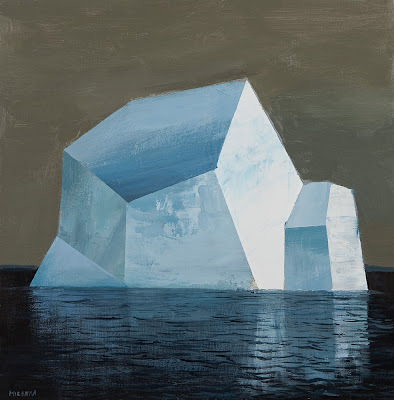 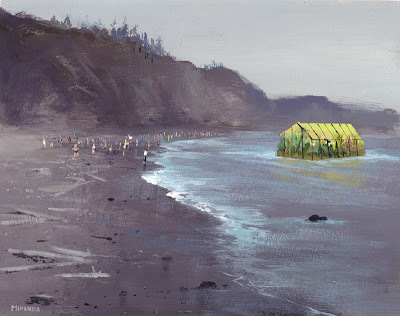 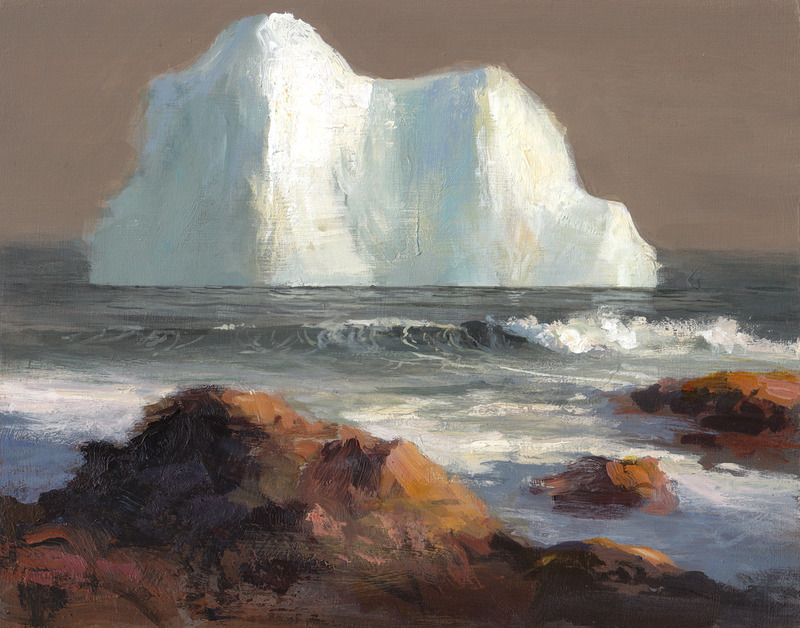 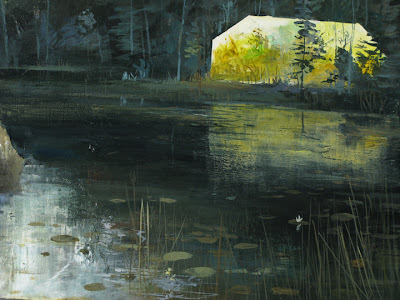 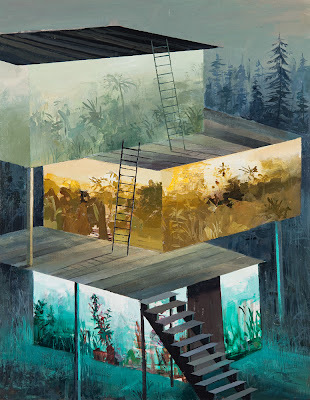 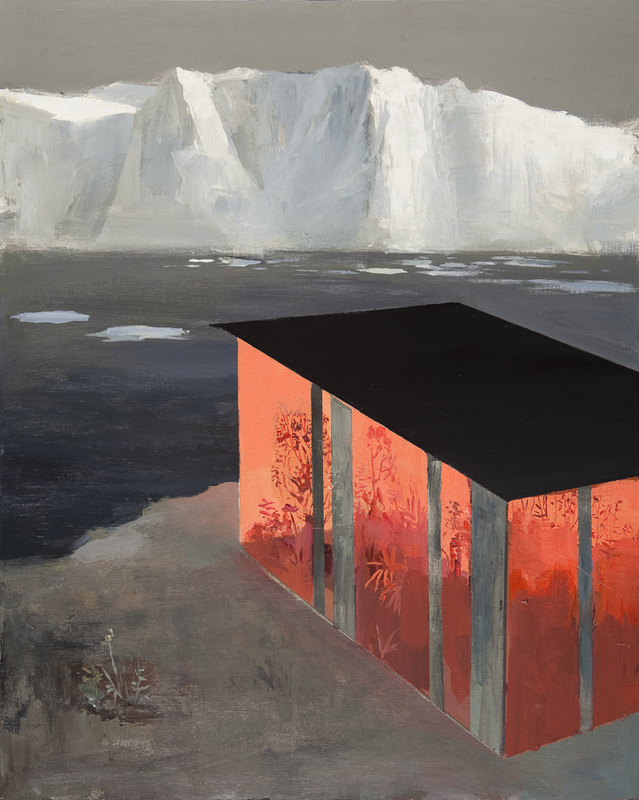 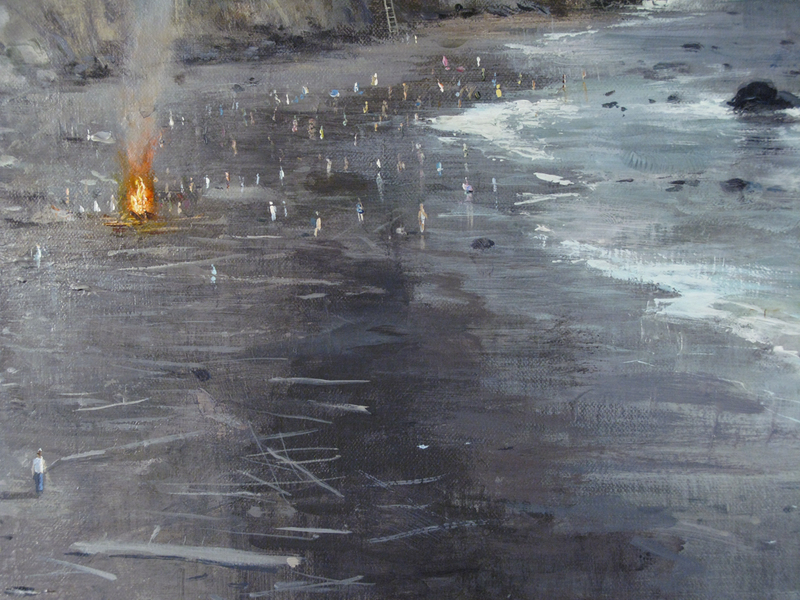 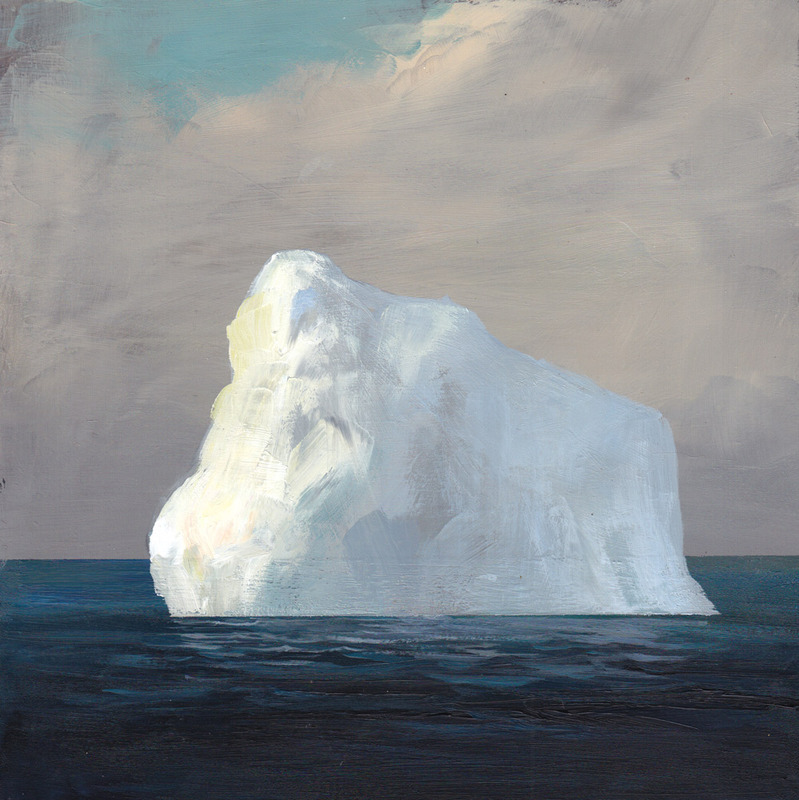 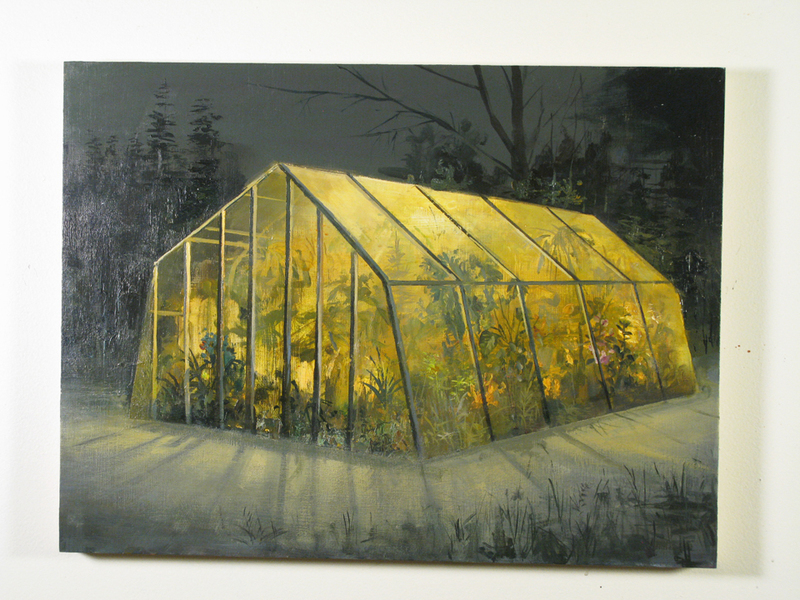 Jeremy Miranda is an eclectic and talented painter working out numerous issues of form and structure both natural and manmade while also exploring color, light, design and even narrative ideas. 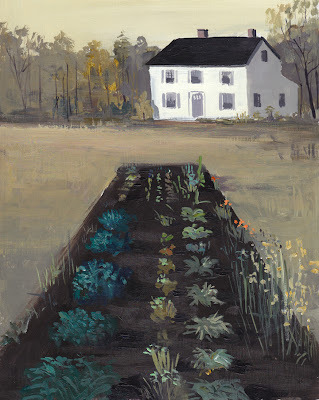 His stylistic approach varies greatly from quick loose sketch-like studies in simple washes to complex formally executed paintings, but in all there is a kind of breezy confidence that is quite disarming. Most of his work is on a relatively small scale but it is not really fair to represent them as I've done here, as single individual pieces. 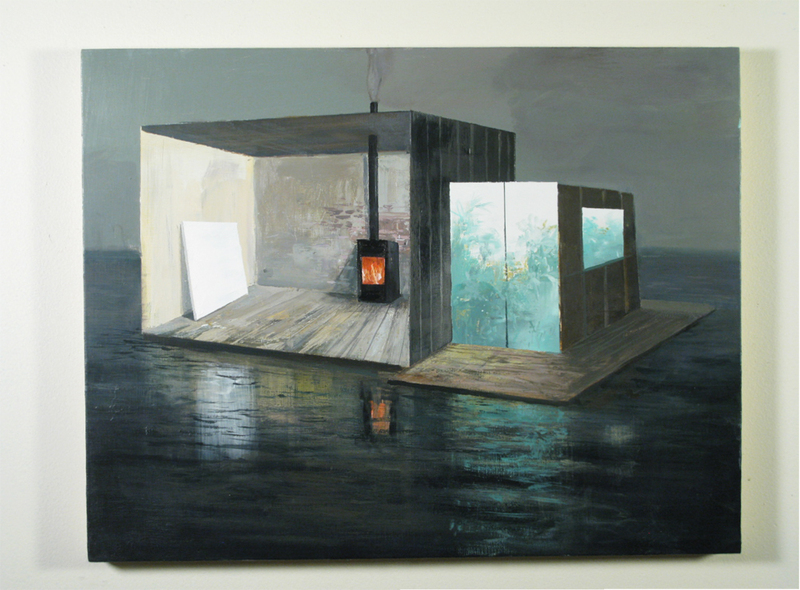 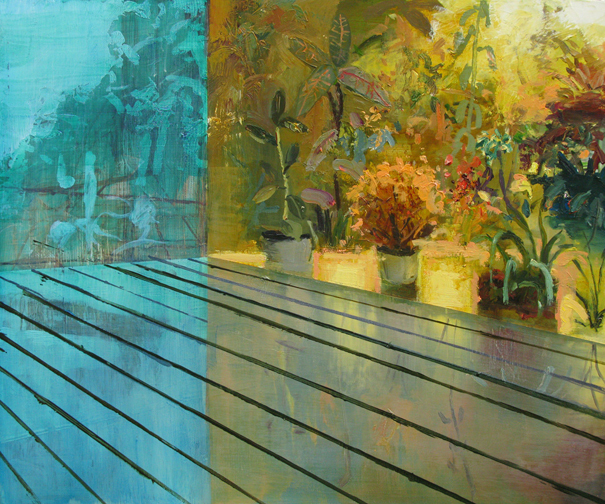 Rather, most of his work seems to reside within a thematic series. 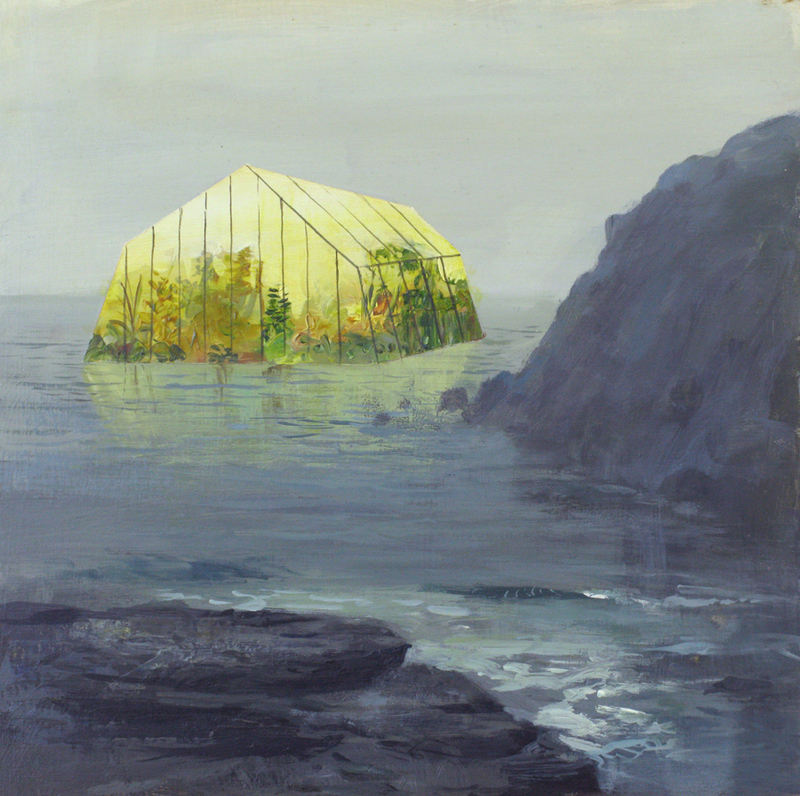 There is a wonderful series about a mysterious greenhouse that drifts ashore on the waves of some dark New England beach where curious onlookers gather. Another (not shown) depicts bookcases forming one or more sides of an interior with the far side opening out onto open natural space. Others are more abstract. While there are some wonderful larger, more fully developed pieces like "South Facing" and We'll Have You Down Sometime" his impulse seems more and more geared to the quick study, knocking off each piece almost impatiently so he can move onto the next idea or the next variation. 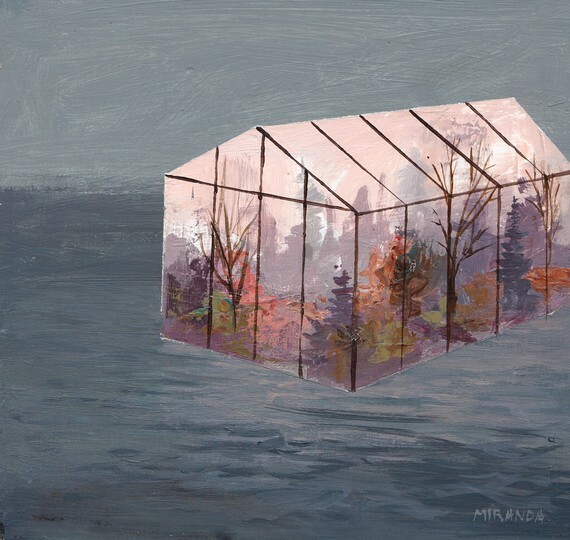 Because there are so many ideas. He seems to be an artist brimming with ideas, with energy, enthusiasm, and best of all, talent.